Vimek 610 is our most powerful fowarder with 11,000 pound loading capacity, equipped with the new engine CAT 60 HP, modern hydrostatic transmission from Bosch Rexroth in combination with our well known trailer and crane. In the Vimek 610 we have been able to combine an engine and transmission to offer high efficiency, productivity, performance all this together with low fuel consumption, makes a cost effective machine. 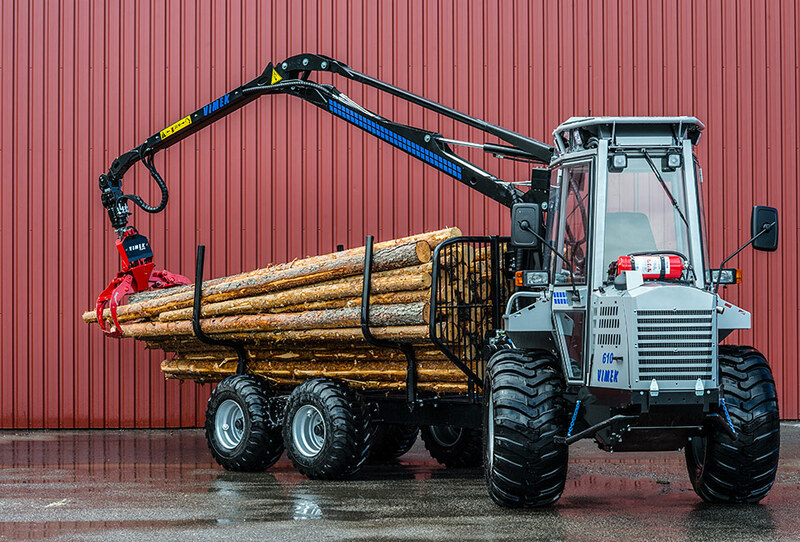 Together with our upgraded harvester, Vimek 404T5 we have once again created the most effective team for the modern forestry.